200 works from the middle school students of our local high school. Meet with other writers and bring your own short pieces of fiction, poetry, drama or nonfiction for friendly feedback. Registration is not required. SPECIAL GUEST THIS WEEK: For the Letter "P" PETE THE POSTMAN will read us a story and help us mail letters! Help your child develop pre-reading skills that will help them be ready to read in school. This is a free 4-week series brought to us by South Berkshire Kids for families with young children that includes a literacy workshop, story time and playgroup all in one! A recruiter from the U.S. Census Bureau will be available to talk to anyone who would be interested in working for the U.S. decennial 2020 Census. There is a range of employment available, including jobs for census takers, office management, and IT management. Knit, Crochet, Cross-Stitch, Needlepoint, Macrame, Quilt, Needle Felt... and more! Bring your handwork project to Katie's Korner at the Lenox Library for an opportunity to share tea and techniques with fellow crafty community members! Registration not required. RSVPs welcomed. ALL AGES ENCOURAGED! Description: It has been said during the Surrealist movement that “Poetry must be made by all and not by one”. Todays adventures will be all about collaborative art and poetry via an old fashioned parlor game from the 1920’s. Ages: These programs are designed for curious kids ages 4 to 8 years, but all ages are welcome. Space is limited. Please contact Katie to register. Come read Franco your favorite story! Free. All ages welcome. Meets in the Youth Department. Sign up for a 15 minute slot. 3:30-4:30 Registration required. Second and Fourth Thursdays of each month! The purpose of a reading to dogs program is to provide children with a comfortable environment to practice their reading skills. Franco is very sweet and eager to listen to school-aged children who want to read to him! Canine Link is a 501 (c)(3) not–for–profit therapy dog organization operating in the Berkshire County of Massachusetts, North West County of Connecticut, and Columbia County of New York. We train and certify therapy dog teams (handler and dog) and provide therapy dog services to individuals in hospitals, nursing homes, schools, and other facilities. The Lenox Cultural Council invites you to the 2019 Grantee’s Reception and Community Input Meeting, Thursday, April 25 beginning at 5:30 pm in the Welles Gallery. Join them for presentations and performances by some of this year’s grantees and provide input to council members as to the cultural funding needs in our community so they can plan for future grant cycles. Light refreshments will be served. The lecture is free and open to the public, thanks to the generosity of the speakers themselves, and donors like you! Paul Uhrig is your host for Trivia Night, to be held the last Tuesday of each month. Teams of 1 to 6 person(s) can be formed. Please bring a pencil or pen. 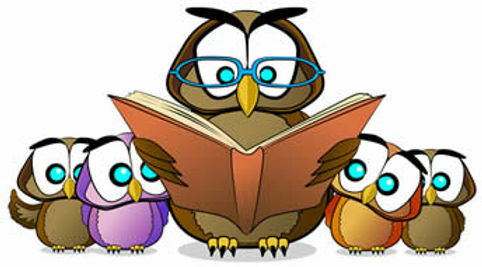 The Lenox Preschool will visit the Youth Department for a Storytime in Katie's Korner! The MA SubCouncil of the Housatonic River Natural Resource Trustees will hold a public meeting to discuss the Draft Round 4 Restoration Plan /Supplemental Environmental Assessment for the Housatonic River Watershed Restoration Program. For Ages: Kindergarten and UP! Space is limited to the first 12 participants. Ages 10 and UP! Space is limited. Registration required. Join a group of adventurers on a quest to stave off the evil forces encroaching on the world of Andaria. Orcs, goblins, werewolves and much worse have been emerging across the continent where peace used to reign. Can a small party truly make an impact on a world facing such horrors? Dungeons and Dragons is arguably the most popular tabletop role playing game to date. Paper, pencils, dice and imagination are the keys to this adventure. Hear the DM weave a story that YOU write with the choices YOU make in this world of unending possibilities! Movies TBD. All will be G or PG. CWMARS Area Directors Roundtable Meeting, open to CWMARS library directors in nearby towns. The First Tuesday Book Group meets once a month to read and discuss a book together. All are welcome. This month's selection is Empress Dowager Cixi: The Concubine Who Launched Modern China by Jung Chang. Registration Required. Signature Required for drop-off. Popcorn and drinks provided. Movies TBD. All will be PG-13. Closed meeting of the Lenox Library Book Committee. One of the Spring 2018 Trustee Orientations by the Massachusetts Board of Library Commissioners will be hosted by the Lenox Library. These sessions are for new library trustees, seasoned board members, and library directors. Trustee Orientations are run by Maura Deedy, Library Advisory Specialist and Rob Favini, Head of Library Advisory & Development. This month's selection is TBD. Last year's Novel Night Out gala party at the Lenox Library was acclaimed by Rural Intelligence among their Top 10 Berkshires Parties of 2018! Come to this year's "Chapter 2" gala to experience the magic and support our beautiful Lenox Library! The First Tuesday Book Group will not meet in July or August. The Lenox Library is closed for services in observance of Independence Day. We will follow our normal hours of operation (Tuesday 10:00 AM-8:00 PM; Wednesday-Friday 10:00 AM-6:00 PM; Saturday 10:00 AM-5:00 PM; closed Sunday and Monday) all other days this week. Spanning generations, from the shores of the Black Sea to the glittering concert halls of New York, The Nightingale's Sonata is a richly woven tapestry centered around violin virtuoso Lea Luboshutz. Woven throughout this luminous odyssey is the story is César Franck’s “Sonata for Violin and Piano," a work championed by Lea, one of the first-ever internationally recognized female violinists. 9:00 AM - 4:00 PM 2019 Annual Book Sale! New Location! The Lenox Library's 24th annual book sale will feature a new location this year, at Lenox Town Hall, with a huge selection of over 9,000 books in 35 categories, all donated from Berkshire homes, and most in like-new condition. A Special Interest selection offers collectors’ items, including limited editions, signed first editions and other collectibles, while an Old Treasures section features hundreds of books from the 19th and early 20th centuries. For a donation of $5, book dealers and the public can gain early admission from 9 am - noon on Friday, August 9; admission numbers will be available beginning at 8 am. The sale continues with free admission from noon - 4 pm on Friday, 10 am – 4 pm on Saturday, and 10 am – 4 pm on Sunday. 10:00 AM - 4:00 PM 2019 Annual Book Sale! New Location! The Lenox Library is closed for services in observance of Thanksgiving Day. The Lenox Library is closed for services in observance of the holiday season.